The most prolific experience is not in achieving something, but in seeking it. It is the journey towards an endless horizon that matters….goals that move forward with you as you chase them. It’s all about the pursuit and what you learn along the way, the moving. Life is a series of natural and continuous changes….everything is a moving target. What’s truly important is to embrace these changes as they happen. To let life’s happenings flow naturally forward, and to swim proficiently with the current. 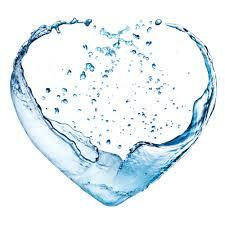 Your body, after all, is over 60% water. Learn to flow like the water that’s already a major part of who you are. Water’s strength is in its patience, persistence and adaptability. It can’t stop everything that’s thrown at it, but it always goes around obstacles and through them. Very few things in the end can reliably stand against it. In time, even a small, slow, steady drip can wear away the face of a massive bolder. So keep this in mind always as you deal with life’s ever-changing obstacles. Practice your patience and persistence and remember what you’re made of. Like water, if you can’t go through an obstacle, flow around it. This entry was posted in Food for thought., Positive thoughts. and tagged Balance, follow, food for thought, life, Like water, live, positive thinking, positive thoughts. Bookmark the permalink.